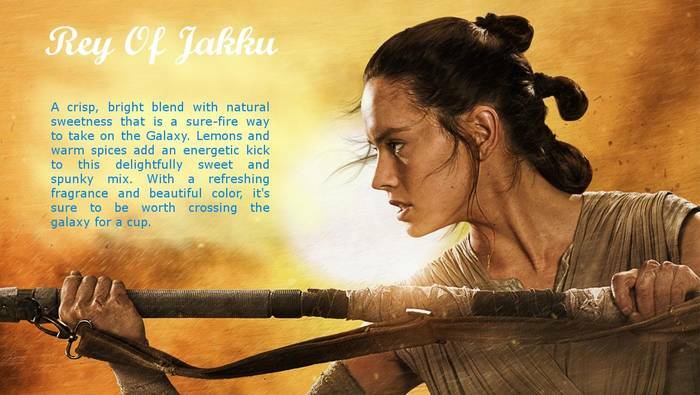 A crisp, bright blend with natural sweetness that is a sure-fire way to take on the Galaxy. Lemons and warm spices add an energetic kick to this delightfully sweet and spunky mix. With a refreshing fragrance and beautiful color, its sure to be worth crossing the galaxy for a cup. 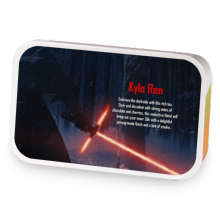 Rey Of Jakku has hooked up with Kylo Ren. Love Rey Of Jakku? This is just one of 4 teas in this fandom. Check out the whole series.